Via accidentalsexiness.com: The Television Academy Foundation is adding Dexter star Jennifer Carpenter as presenter. The Television Academy Foundation’s College Television Awards is a nationwide competition that recognizes excellence in undergraduate and graduate student-produced work in the areas of video, digital, and film production. This year, more than 600 students from 154 schools across the country entered the competition. Out of these submissions, 23 projects across 12 categories will be honored at the star-studded gala in Los Angeles. This year, the awards gala will take place on March 31st at the Renaissance Hotel in Hollywood. Cool. 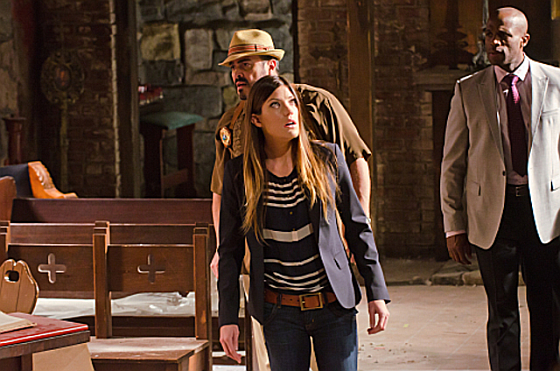 I am not a great fan of Jennifer Carpenter but nothing wrong to wish her good luck.